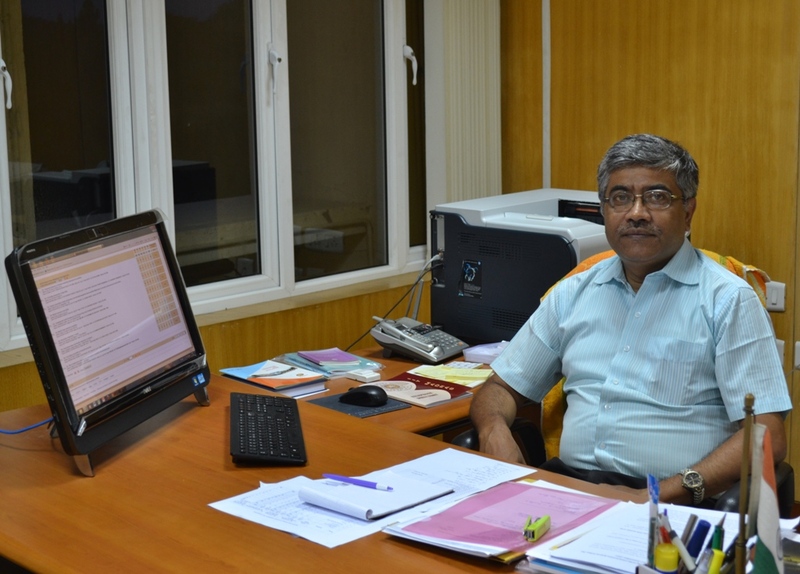 Prof. Sarit K Das joined IIT Madras as a faculty member in 1995 and is the current Dean of Academic Research. We speak to him about his life and his plans for IIT Madras. I did my UG in Mechanical Engineering at Jadavpur University, West Bengal. When in College, academics was never my forte, I was always more interested in other co-curricular activities. I was a member of Film club, Mountaineering club, Drama club to name few and was also active in student politics. I was also into Debating and was crowned the debating champion for five consecutive years. I learnt a great deal of things. My roommate was an arts student. We used to have long discussions on literature, Economics. It was somewhere during this point of time that I took to smoking. It went on for a couple of years and then I stopped it at once to disprove those who thought I did not have the necessary will to. I became the visiting professor at MIT in 2007. I went on to become the Peabody Visiting Professor in 2011. (He is only the second person to take up this prestigious chair) Whenever I’m abroad, I spend the first month getting adjusted, the second month by busying myself with the work. By the start of the third month, I start counting the days left for the return to India.Indian students, I feel, have better theoretical knowledge as compared to their foreign counterparts. It is on the practical aspects that they are way ahead of us. Every teacher values appreciation by a student more than anything else. I have many such experiences to cherish. On a convocation day, a student came up to me and told me how my classes helped him provide perfect answers to the questions the top management of his company asked. Cultural mix is what helps research. There is a need to have more international students in the campus. I also plan to take in more people into research programmes though I would prefer having undergraduates from insti take up PhD. We should strive to reach to the top of our chosen field or profession.The government is spending huge funds to get the best of the faculty and facilities to the IITs to create people to lead the country and not just to serve.With the money spent on each student in IIT, a primary school in a village can be managed. We all are getting these facilities and opportunities at the cost of the education of those small kids. So, we ought to be responsible and work for this country and its betterment.There are two phases in everyone’s life – The Take Phase where we take everything. Like education, love, facilities, happiness etc. The Second is the Give Phase where we give back what we have received.